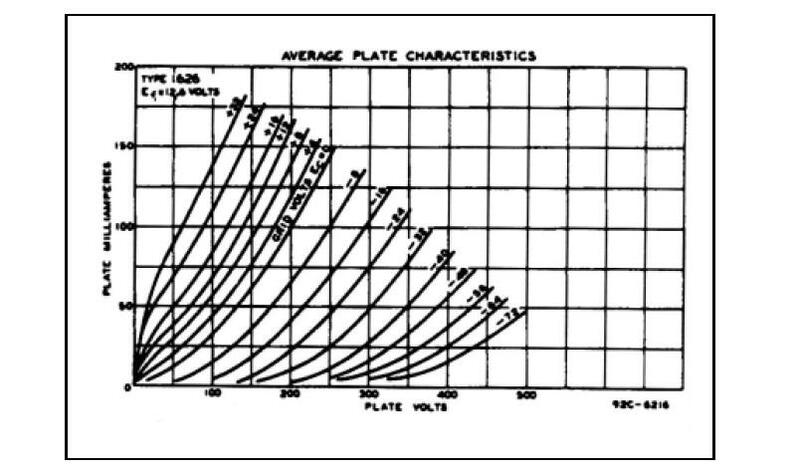 how is sound from 1626 Single Ended Amplifier.1626 is USA Navy Transmitter tubes. 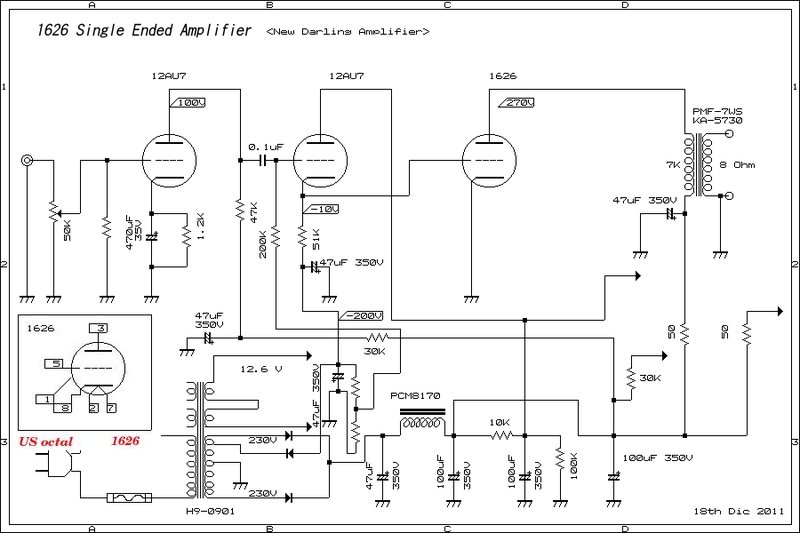 finally will be brew one of next circuit.then modificate EL3N single ended amplifier. 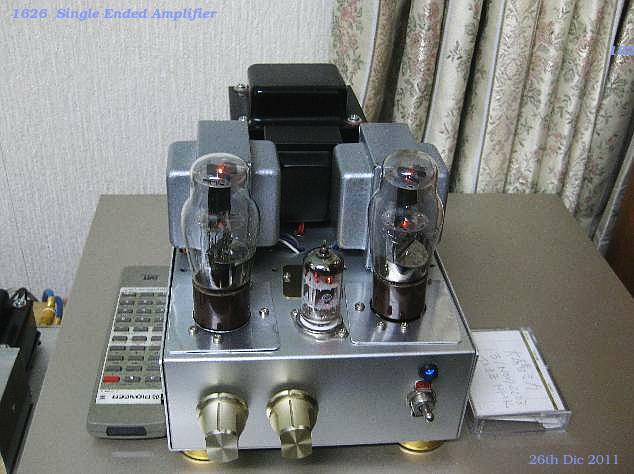 will be get.sound is very good, same kind of sound of VT 25/VT62 Single Ended Amplifier. 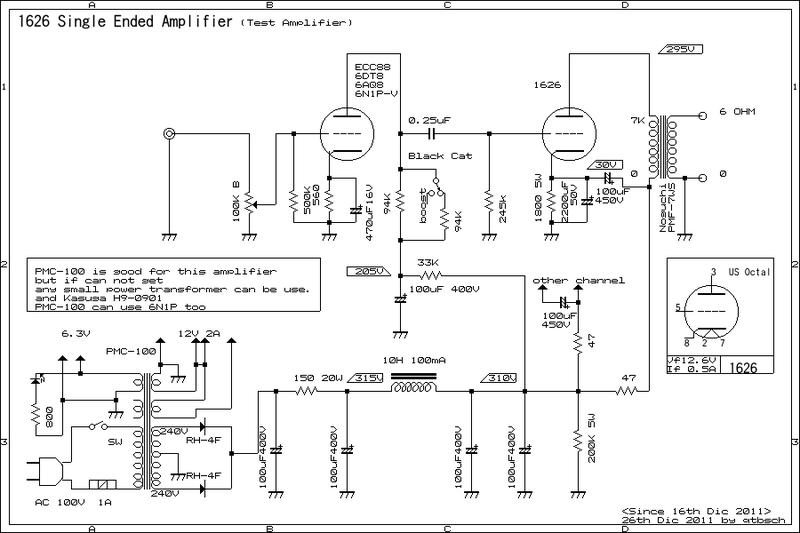 getting good bass and mid and high range is just like VT62 single ended Amplifier's sound. 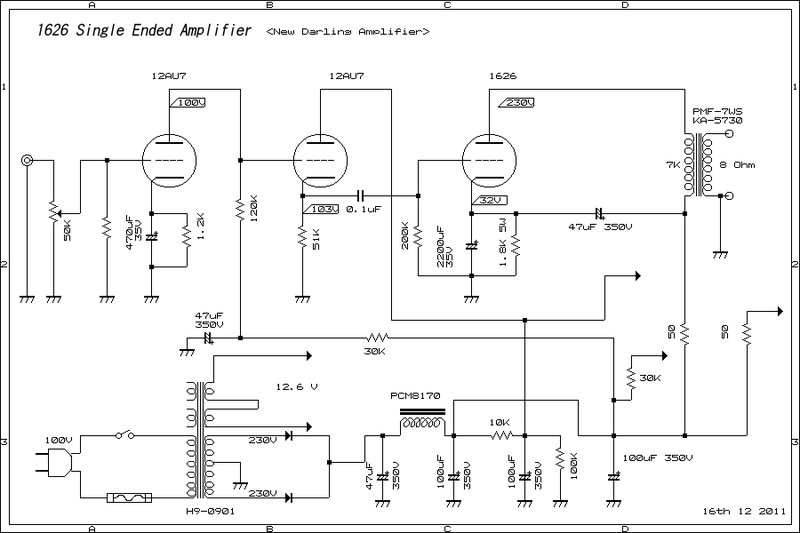 later I will give you some data for this amplifier.but enough to listen Music in small room. I would say to getting nice tone with ECM recordings any disks. 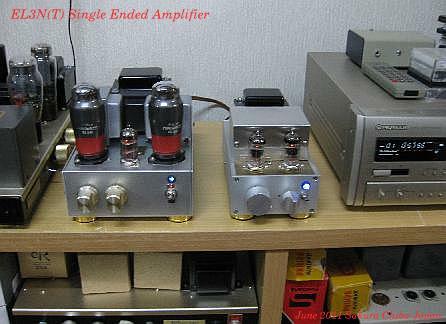 different heater current than 4 tubes, same way you can use 6CG7 and 6FQ7 too. 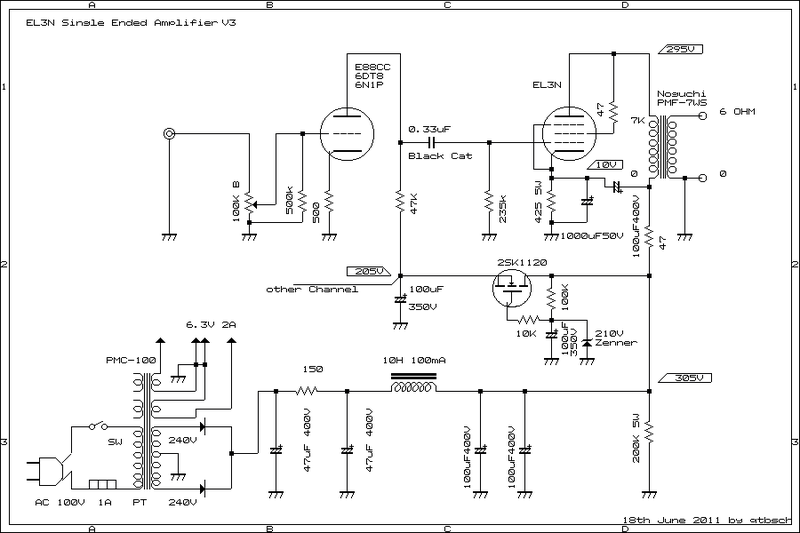 Hand Made FN1242A(DAC) + SRPP PreAmplifier. 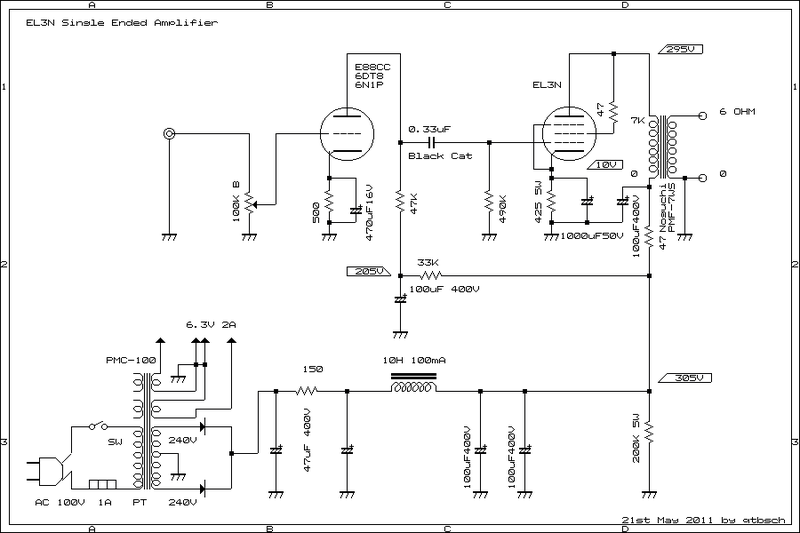 USB by PCM2704 SPDIF converter. 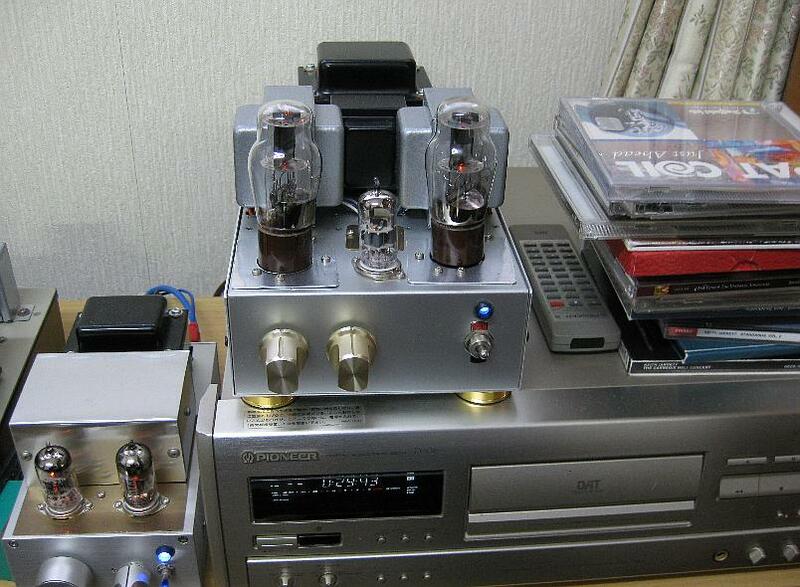 LP plays by Panasonic SL-1200MK3 and DL-103 Denon with TKS-83 Tamura,Home Made SRPP RIAA. CD soft are using many of ECM disc and almost Keith Jarrett and Bobo Stenson plays. 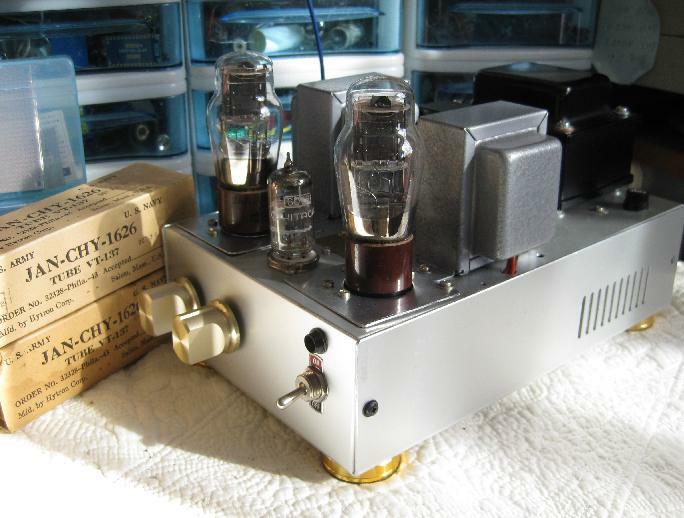 this amplifier plays so nice tone with ECM disk.